I’ve had more than twenty years experience helping people find wellness and spiritual transformation. If you’re seeking Myofascial Massage, Myofascial Yoga, Reiki or spiritual coaching or just emotional release, you’ll find I combine these skills in a unique way. 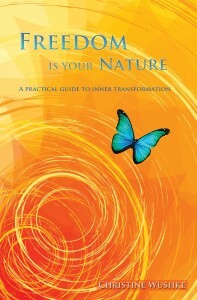 I run myofascial yoga classes and retreats and in 2013 Inner Splendor Media published my first book. If you want to know more about me, check out my story, which describes the path that led me to write Freedom Is Your Nature. I run Journey to Light Wellness. We offer myofascial yoga classes, meditation classes, transformational workshops, myofascial massage sessions and hakomi therapy. Check out our yoga and meditation class schedule here. Journey to Light Wellness is located at 28 alcock close Okotoks AB. I am available for private sessions in person, by phone, or skype. Individual sessions are $90 per hour, or $60 per half hour. Myofascial yoga classes run weekly on Thursday nights and monthly on Saturday mornings, you can check the schedule page here. To book an appointment email journeytolight@gmail.com or call 403-938-9567.